SFW123TTC Alarm Fire/Water Safe is rated 4.1 out of 5 by 39. Equipped with hidden keypad entry and a loud audible alarm, the SFW123TTC offers reliable security to protect your valuables against theft. 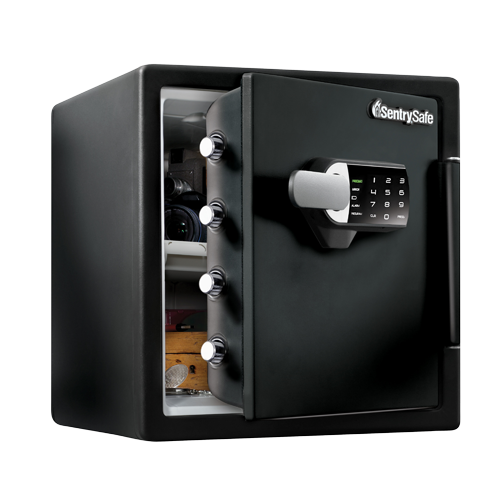 This safe also provides protection from fire or flood for a powerful storage solution for any home or office. 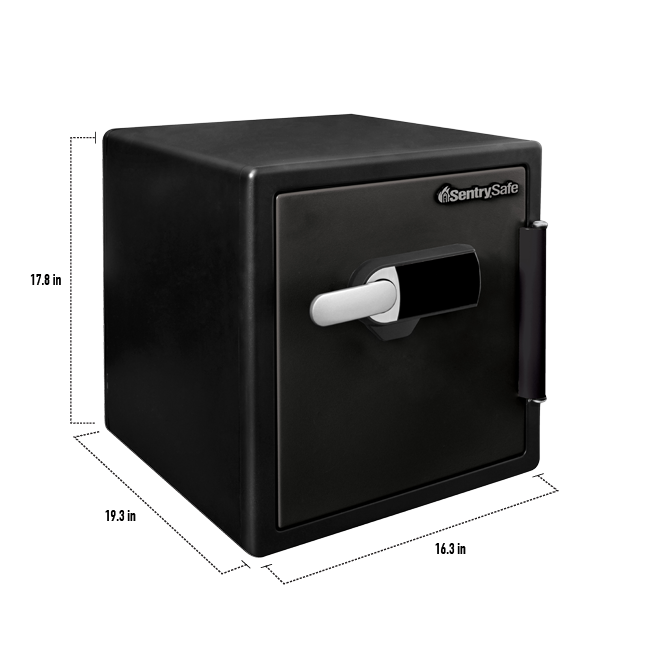 Complete with a multi-positional tray for flexible organization, this safe is ideal for all your security needs. 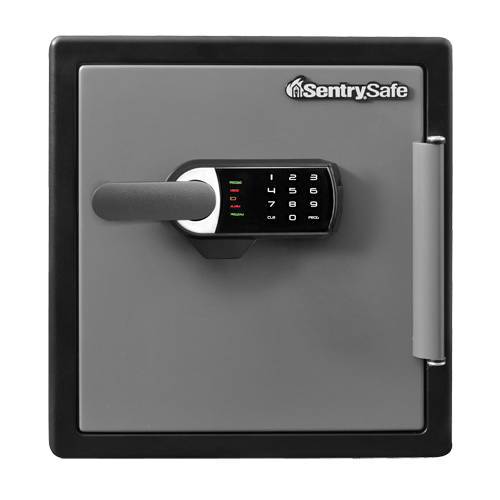 Rated 1 out of 5 by MsJennSays from Keypad fails with no warning I've had the Sentry Safe SFW123TTC for about a year. Somewhere along the way the batteries in the keypad died. I don't recall having it warn me but I don't open it often. I've tried using the auxiliary battery override and the keypad still doesn't work. I've talked with customer service a few times. After buying a new name brand battery for the auxiliary override (didn't help) and resetting the keypad, I still cannot open the safe. They've offered to do more if it's under warranty like send me a new one. I don't want another one like this for obvious reasons. It still doesn't resolve my issue of being unable to open it. Rated 1 out of 5 by casualellen from If I could rate it a 0, I would This safe is terrible. I’ve had it for barely a year. But only recently set everything up. I got really excited to have a new safe. I made sure to check the code multiple times before putting anything into it and it worked every time. Two days later, I go to add some things to the safe. And the keypad didn’t work with fresh batteries or using the back up 9 volt method. Then the green proceed light came on and it’s been almost a week and a half. I can’t access anything in the safe and it’s extremely frustrating. Don’t buy this safe. Rated 1 out of 5 by Dennis Kalitich from Defective safe?? Purchased the product (model sfw123ftc) from Sam's Club and the electronic keypad failed to respond without any power. Called customer service to trouble shoot and was advised to get the freshest brand name battery (eg. Duracell, Energizer). Still not working sending back for refund. Rated 4 out of 5 by EdHE from Good fireproof and waterproof safe I'd have given it a 5, but I had to call when it didn't work with the first AAA batteries I tried. I was informed that they needed to be either Energizer Lithium or Duracell Procell. Something about the posts on regular batteries not being long enough - should be something they add to the instructions rather than waiting for people to call when it doesn't work. Either that or a design problem with the battery tray. Otherwise, a good, dependable safe. 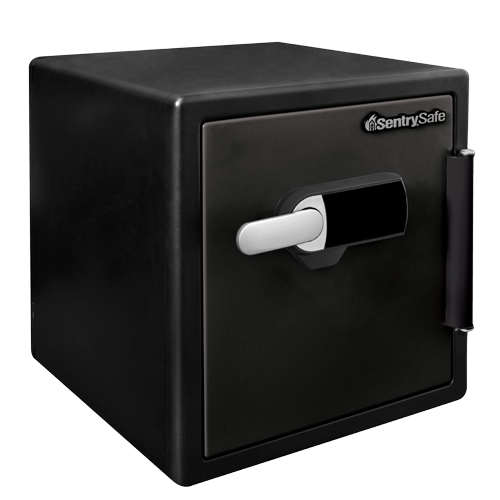 Rated 4 out of 5 by Midwest Gal from Good safe, better battery information needed So far, we love the safe. When we first set it up the keypad would not work, called SentrySafe customer service and they suggested purchasing ProCell batteries from Duracell because the prong was longer and needed for the battery compartment on the safe. Thankfully that solved the problem and the safe works great but it would be nice if the owners manual suggested this type of battery or the first ones were included. Rated 5 out of 5 by GrammyK from Just what we needed At first, we could not get the number pad to stay llt. I called customer service and the rep knew the problem immediately. It was the batteries we were using. A switch to lithium batteries fixed everything. The safe is roomy and secure. Customer support is awesome! Rated 1 out of 5 by Chase123 from Missing Battery Compartment I purchased this safe through Sam's Club. After opening the box I realized there is no battery compartment inside. I have emailed and called customer support for a resolution. I have had zero response. Rated 5 out of 5 by Calvin2012 from Very nice safe I like this safe because of how solid it feels and the ease of opening and closing it. Only downside to me is that the inside is a lot smaller than what it seems it should be from the outside.